Confession time: Mary Greenwell is one of my all-time idols. Alongside Kay Montano, a young Get Lippie used to collect pictures of the looks these two women created for the likes of Princess Diana, all the Supermodels, and practically every celebrity you’ve ever heard of (and a few you haven’t) ever since. Both ladies are still going strong today, and Mary, in particular simply can’t put a foot wrong as far as I’m concerned. Normally you’d expect a makeup artist’s eponymous line to start with a makeup item. A range of lipsticks, perhaps, or a perfect eye palette, but no, Mary’s decided to go with a perfume, and it was, I have to say an inspired decision. 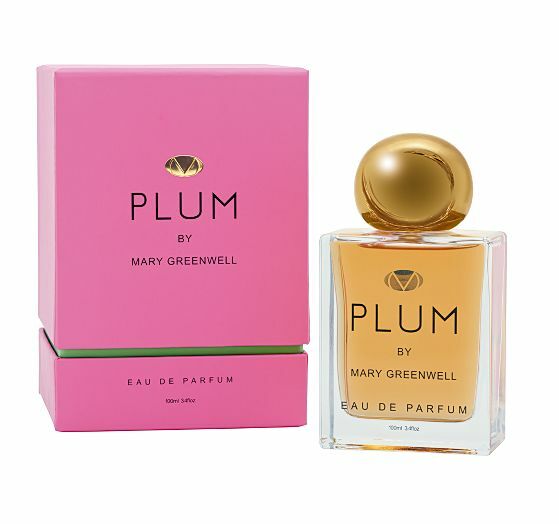 Top: peach, blackcurrant, plum, bergamot and lemon. Base: woods, sandalwood, oakmoss, patchouli, amber, and white musk. Reading that list, you expect a screechy fruit-y marmalade-ish affair, which will dry down to a nothing-y skin scent at the end, suitable for teenagers of all ages. But lists of notes can be misleading, because Plum is a very grown-up affair indeed. Sophisticated, and glamorous, even. MrLippie likes this one a great deal. It’s quite a perfume-y scent, in the style of Chanel No5, but without the shouty aldehydes at the beginning. I notice that the cunning Mary has styled the bottle after the classic flacon of Chanel, topping it off with a stylised gold representation of a plum that will do some serious damage to you if you’re ever unlucky enough to drop it on your toe (take it from one who knows). The Fine Print: I won my bottle in a Twitter competition.